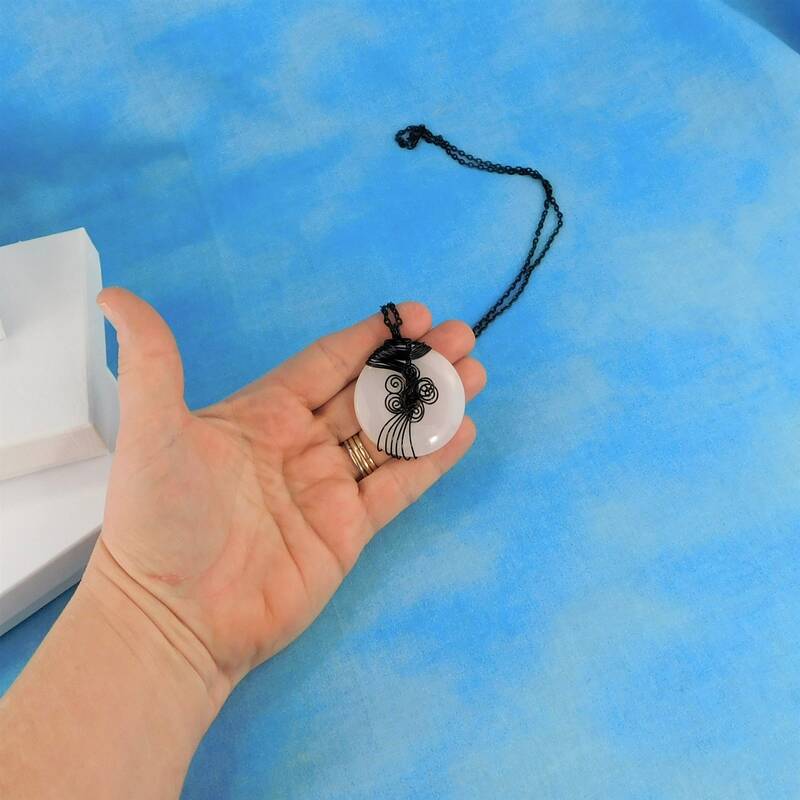 An opaque White Agate ring shaped stone is artistically wire wrapped with non tarnish, black colored copper wire. 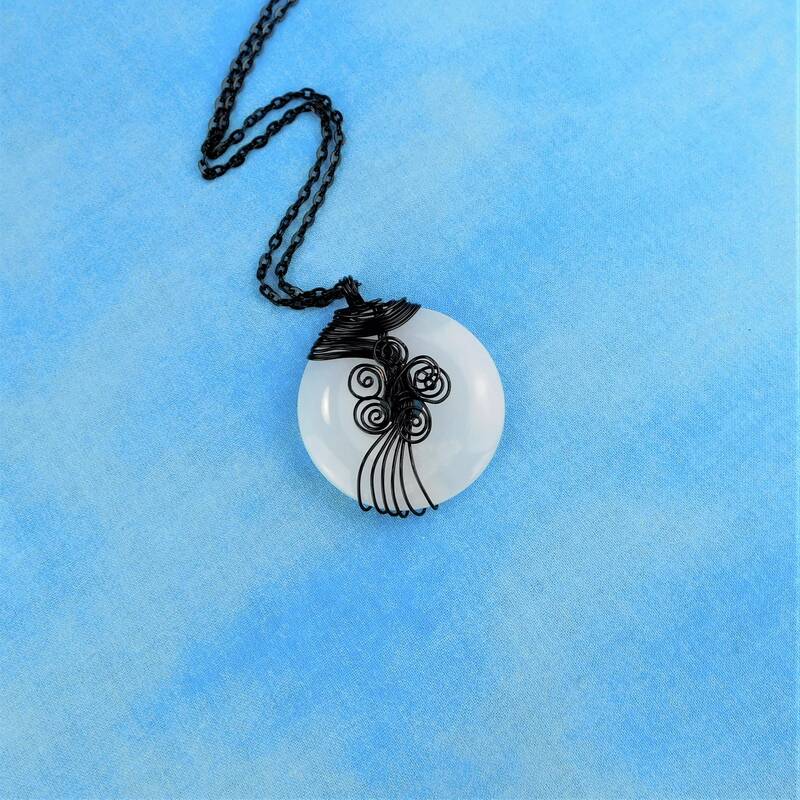 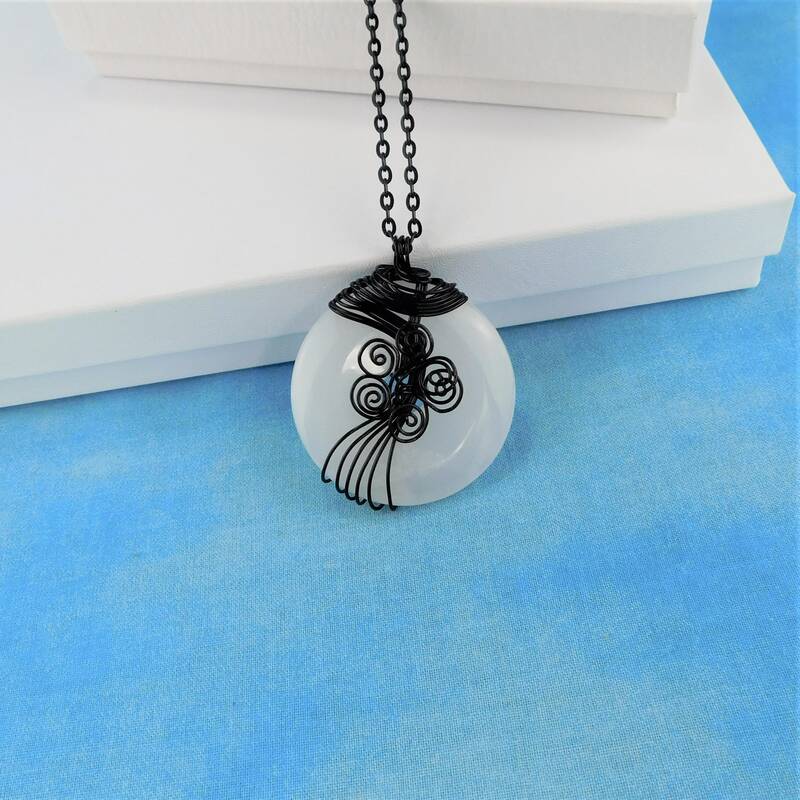 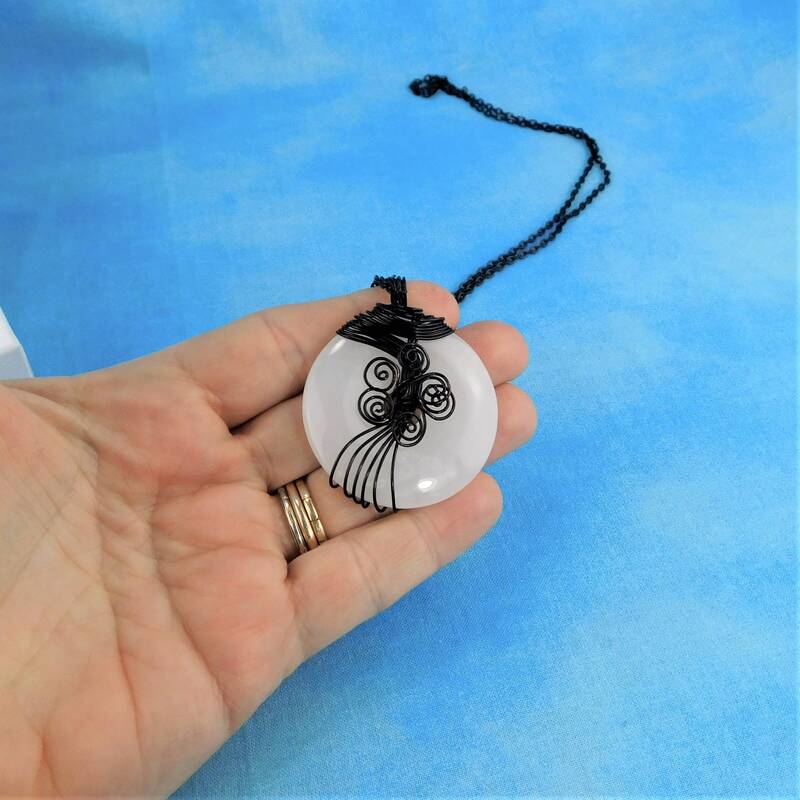 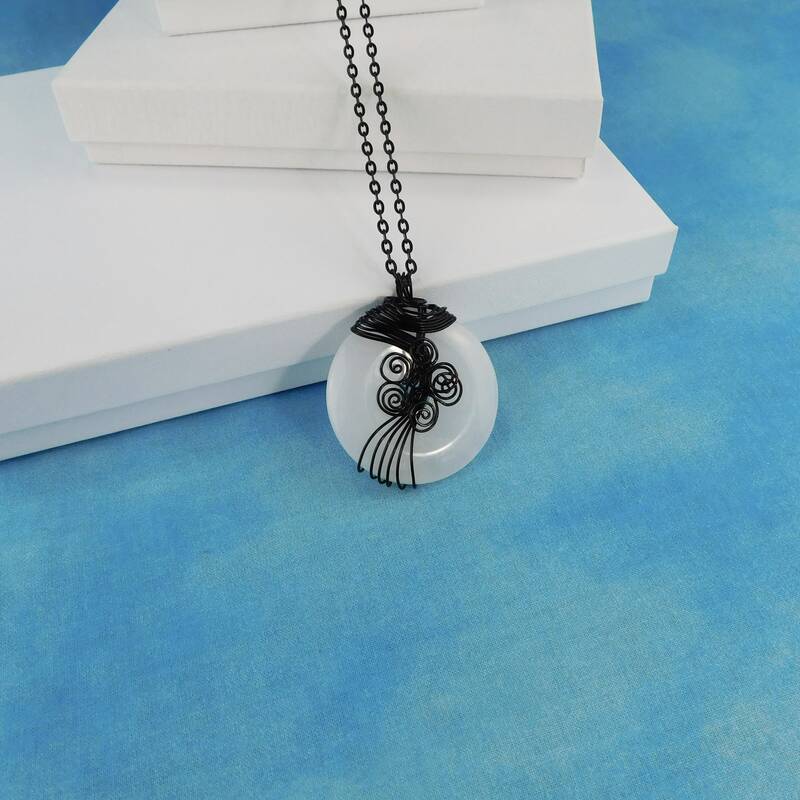 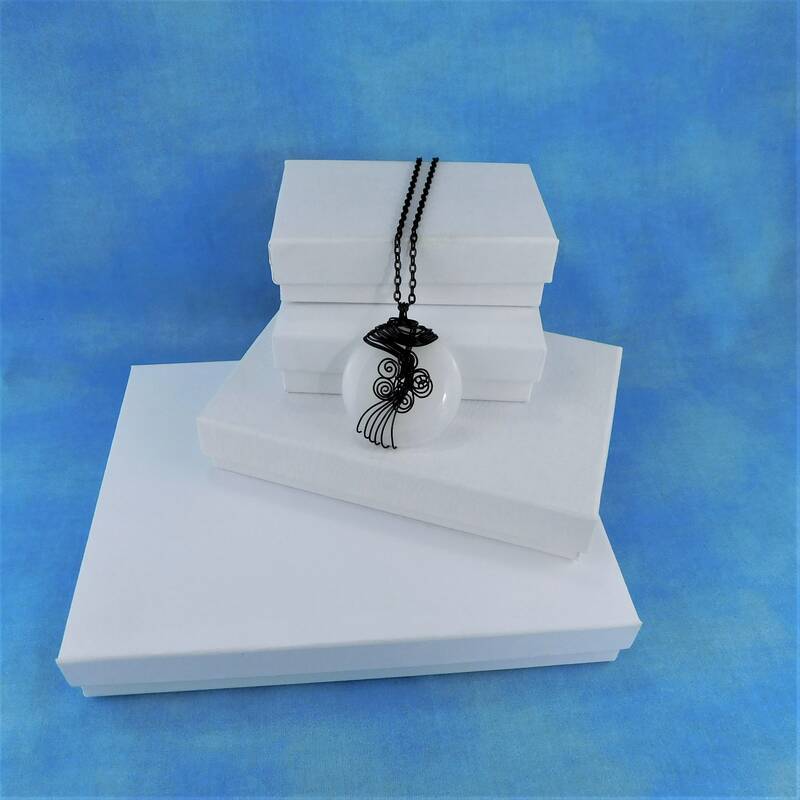 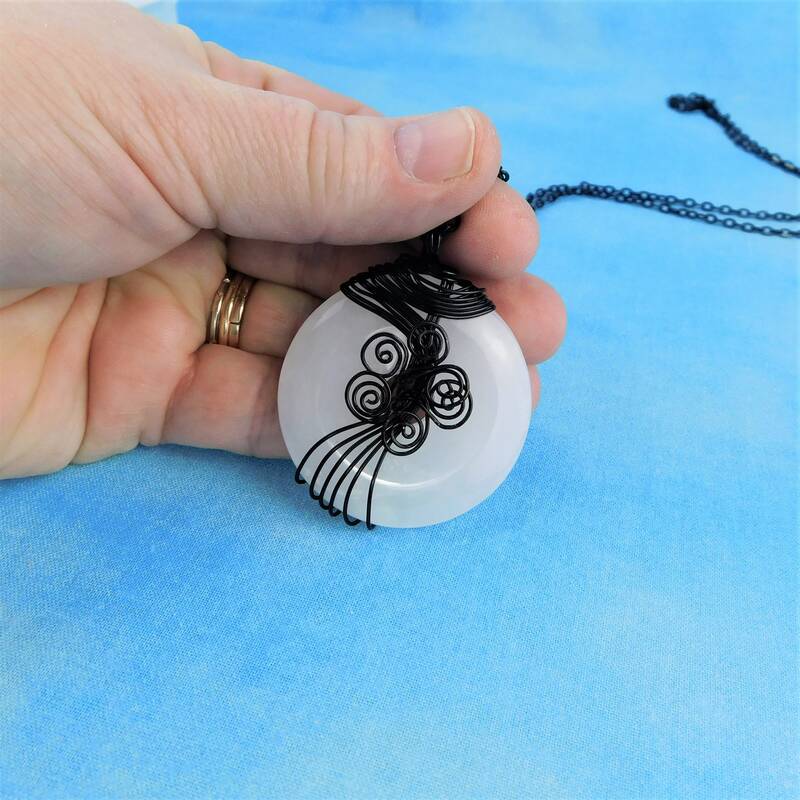 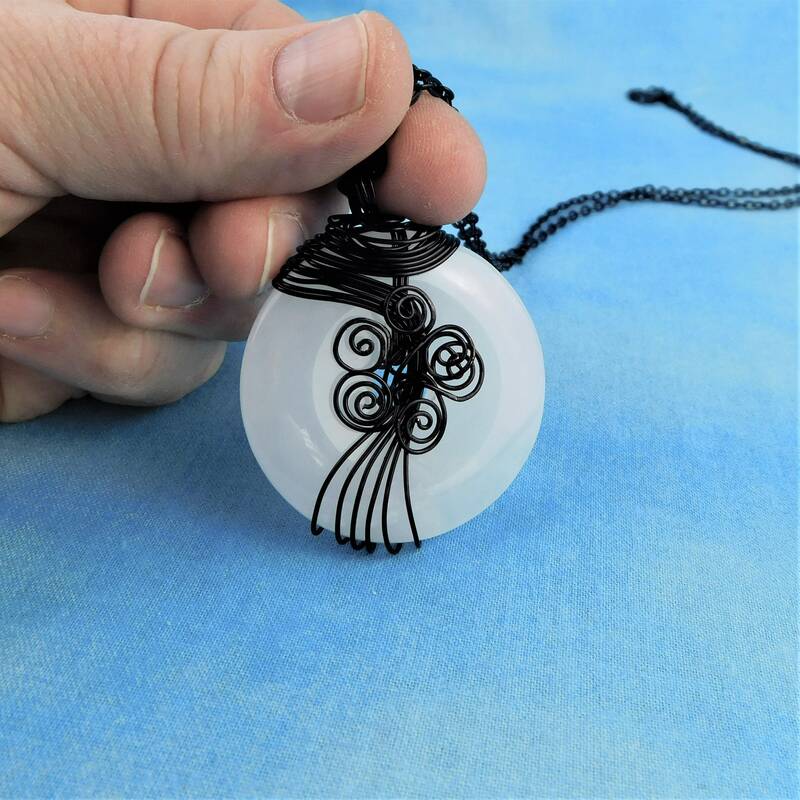 The white agate donut is a substantial statement piece that would create a stunning focal for a basic outfit, coordinating with many styles and colors. 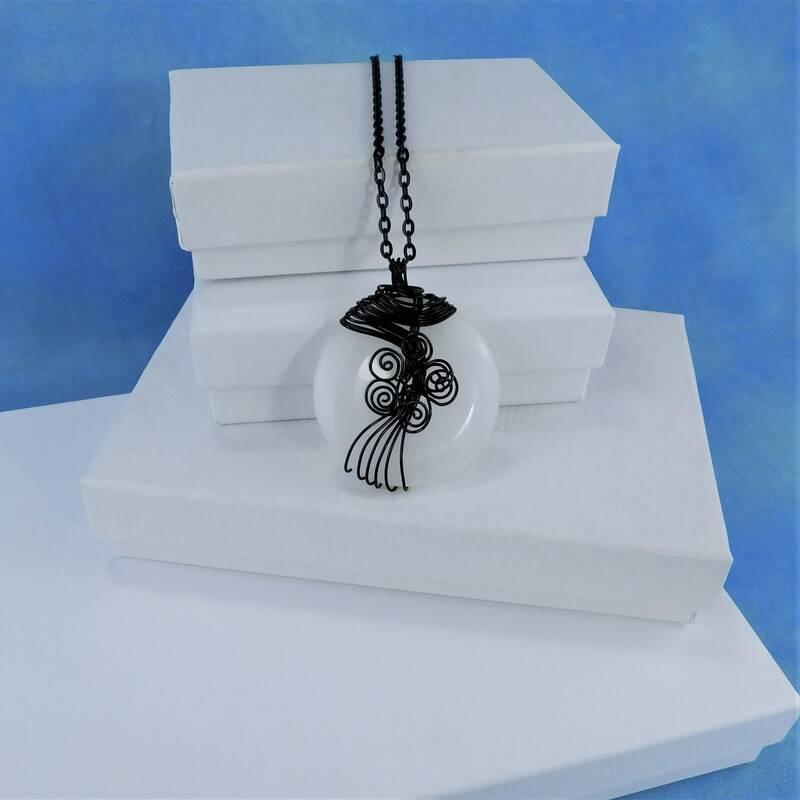 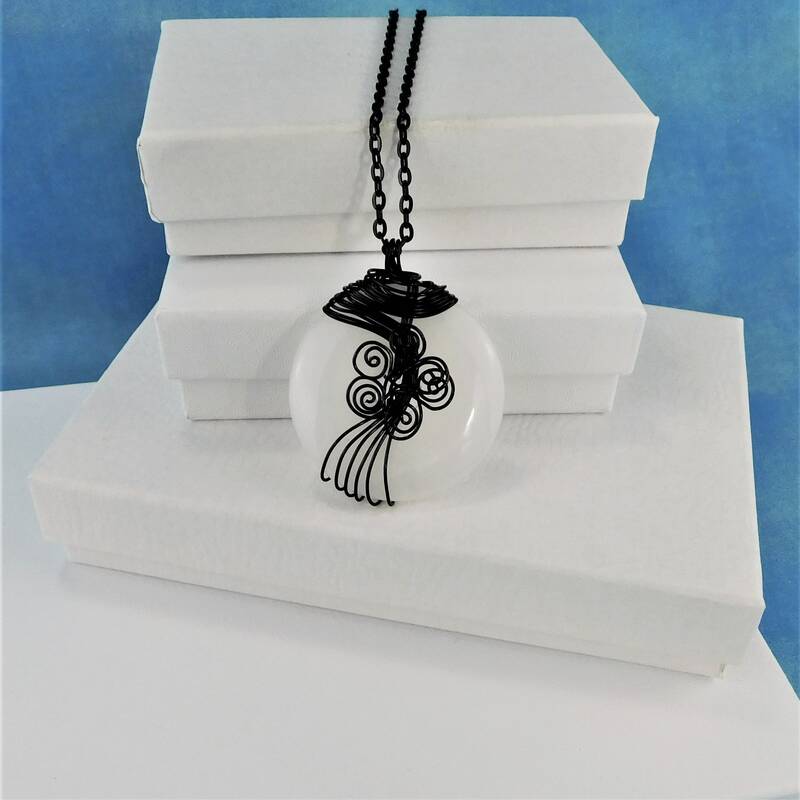 This striking pendant measures 1 3/4 inches by 1 3/4 inches and comes with a FREE coordinating chain with lobster claw clasp measured to your preferred length.